Country roads, me and my Garmin..
All privacy issues aside, GPS is a great thing. I spent almost all of the past weekend driving around New England, usually on rural roads, sometimes in the rain, sometimes in the dark, all in the service of what is essentially pretty non-mainstream music. Which is not what one would expect to be doing in your basic middle-of-nowhere..
A few years back, Davy met a young European composer at a festival in NYC, and when Davy mentioned that he preferred doing his composing outside of the city, the visiting musician barked at him “Art is Urban!” This particular musician would have been confused by my travels this weekend. 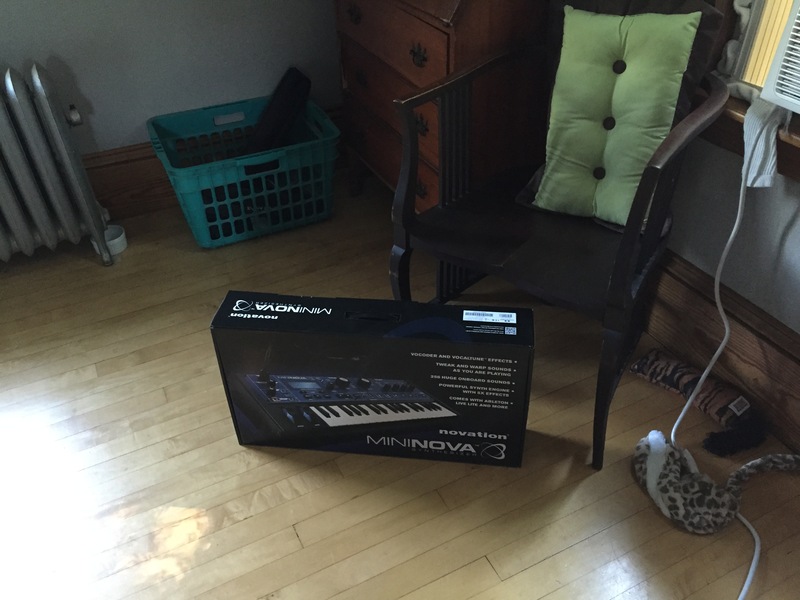 First, I had to deliver a small synthesizer to ensemble mise-en, a Brooklyn group that was in residence at I-Park, at the edge of a state park in Connecticut. This particular synth, with a full-featured vocoder, was probably small enough to ship to the group (see above), but then I wouldn’t have been able to walk the pianist through the patches, etc., in person. 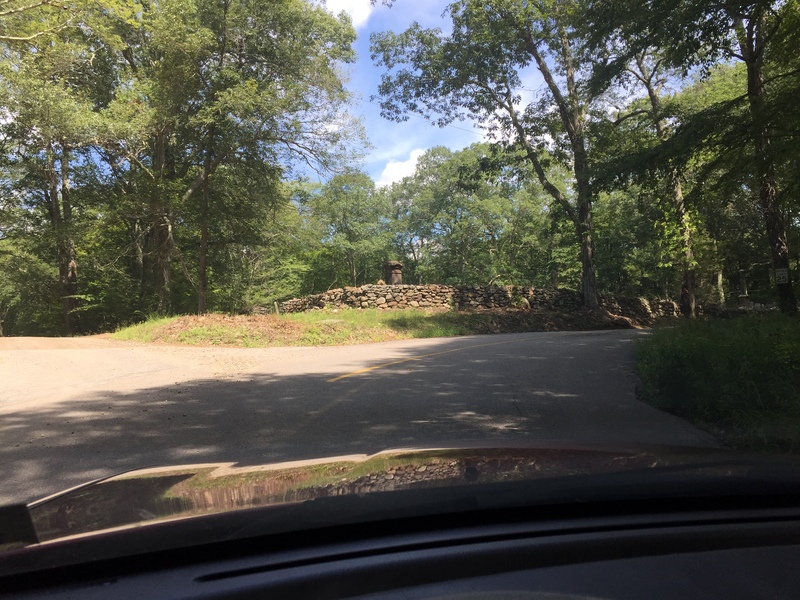 So, before the school year’s schedule could make travel more difficult, I put the address of I-Park into my GPS system and off I went to meet the group’s director, Moon Young Ha, in the wilds of CT. The I-Park campus was fairly well camouflaged, but after being directed only about half a mile off by the GPS, I found the nicely appointed studies, and was able to show off the synth using the ensemble’s own sound system. The pianist now has a few months to get used to speaking parts of the poem “Introducing the Nissan Jet-Pack” (by Miriam Gamble) into the vocoder’s microphone while playing the piano part in my piece for the ensemble’s November concert. (The piece is a musical setting of Miriam’s entire poem, with the various instrumentalists speaking at different times against both acoustic textures and some electronic accompaniments.) Yumi Suehiro, the pianist, tried out the vocoder while I was there, and I think she’ll be having a good time practicing her part. It looked like the residency at I-Park was a good deal for the ensemble and the composers working with them at the studios, though Moon explained that getting to the facility from NYC was a little tricky. With the ensemble having to get from subway-to-train-to-car with all the rehearsal gear, there was a fair bit of problem-solving going on at either end of the residency. But, while at I-Park, everyone could focus on the rehearsal process for the project at hand with few distractions. Unless you count a nice walking/hiking environment as a distraction. The GPS had no trouble getting me back to Maynard in good time, as the rain had stopped by then. It turned out to be an excellent driving afternoon, with all of the road construction crews having left because of the earlier weather. 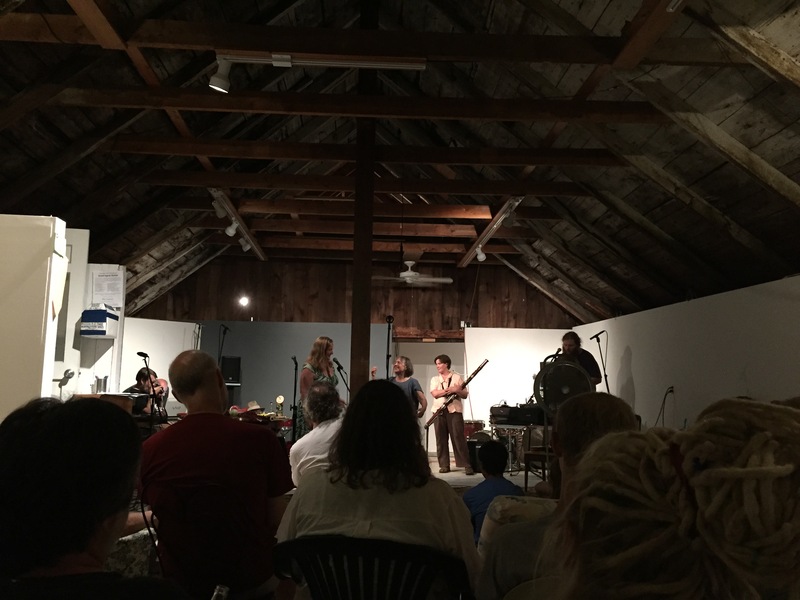 The very next day, I traveled back to Maine, but instead of going directly to Bangor, I went off to participate in Leslie Ross’s first Sound Improv Festival at her place in Penobscot, Maine (not far from Blue Hill). There was an impressive group of musicians, mostly from Maine but with a few Bostonians and New Yorkers mixed in, playing for each other and a pretty good-sized audience for, again, the middle of nowhere. So, maybe art isn’t always urban. 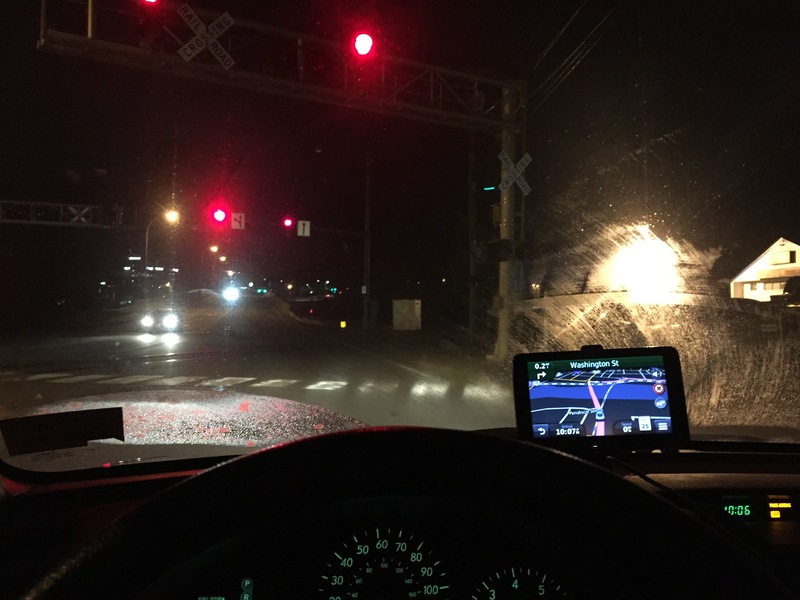 However, driving home from Leslie’s, I was very grateful for the light of my GPS unit as I drove on the time roads away from Penobscot in the dark and fog. 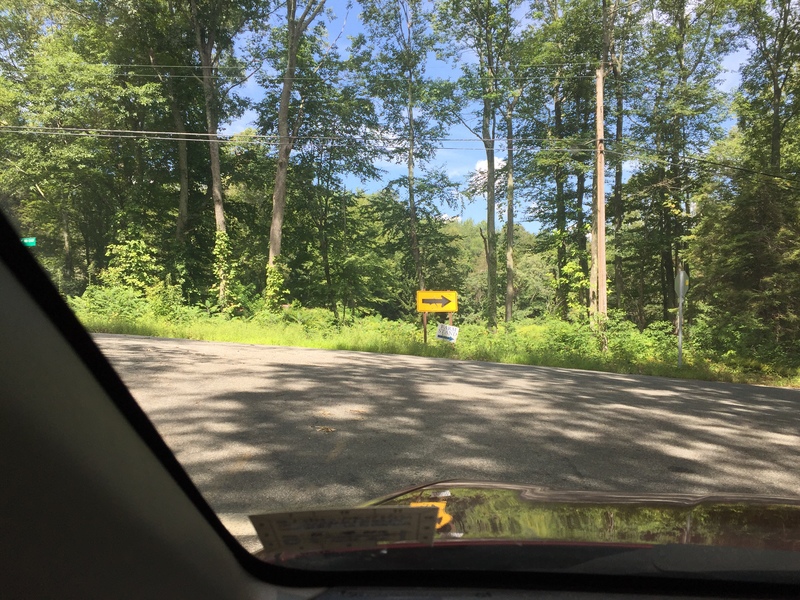 Middle-of-nowhere is fine, but going to and from these rural musical outposts requires reliable maps.